Futuremark has released a new feature test for NVIDIA Deep Learning Super Sampling (DLSS) to the 3DMark Port Royal Benchmark, the world’s first ray tracing benchmark.. DLSS applies deep learning to accelerate rendering, while maintaining crisp, smooth edges on rendered objects in 3DMark Port Royal. 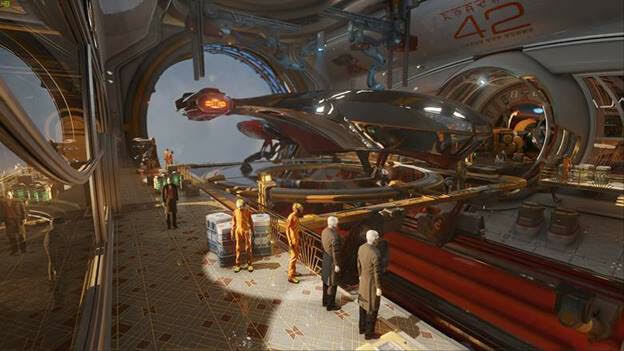 With RTX ON in 3DMark Port Royal, gamers will get the best of both worlds; beautiful real-time ray tracing and smooth frame rates with DLSS. 3DMark Port Royal is a new benchmarking tool that features real-time ray traced reflections and shadows. It can be used to illustrate how DXR ray tracing performance scales across various NVIDIA Turing-based GeForce RTX GPUs. The new DLSS feature test demonstrates significant performance gains in real-time ray tracing. Turning on DLSS in 3DMark Port Royal results in performance gains of up to 50%. Benchmark numbers referenced in the charts above were derived from: Intel Core i7 8086K @ 5.2GHz (all cores), 32GB of RAM, Windows 10 RS5, NVIDIA Game Ready Driver 418.81 at 2560×1440.